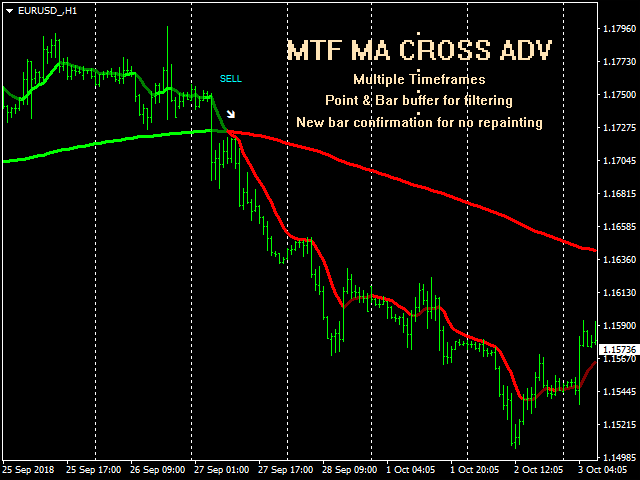 The 'MTF MA Cross Advanced' indicator comes from the time tested 'Moving Average Cross' strategy; with modifications. 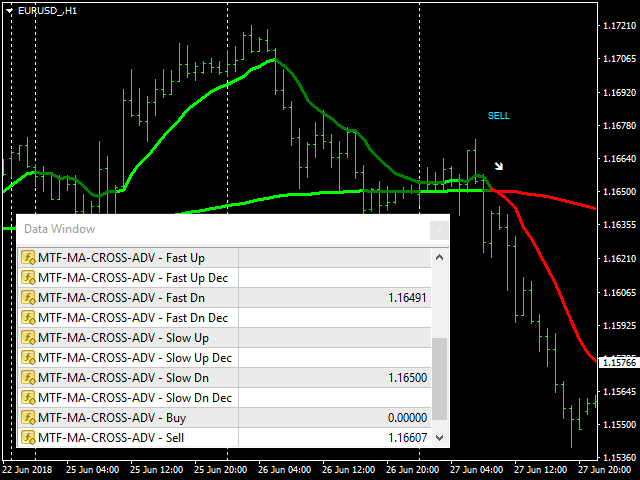 This version provides a visual strategy based upon trends and counter trends indicating momentum within the MA cross. There are four colors that indicate up, down, up-decreasing and down-decreasing. 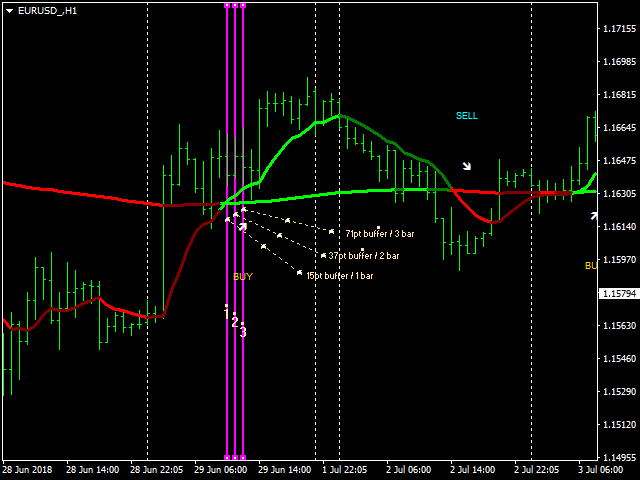 Indicator can be no-repaint when set with open prices & NewBarConfirm set to 'true'. 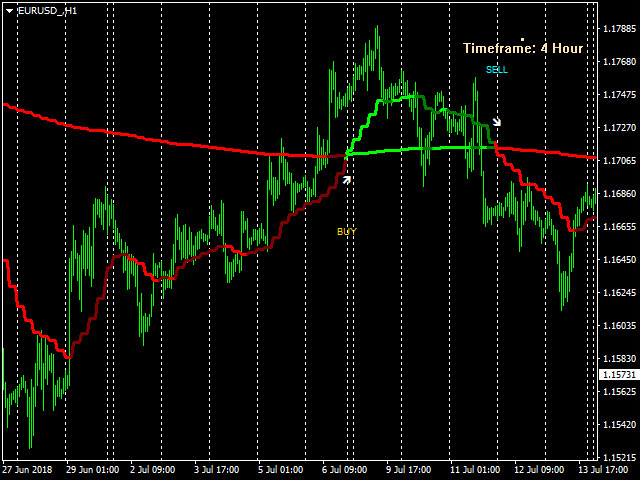 This indicator produces Moving Average prices as well as prices of arrows at moving average crosses. 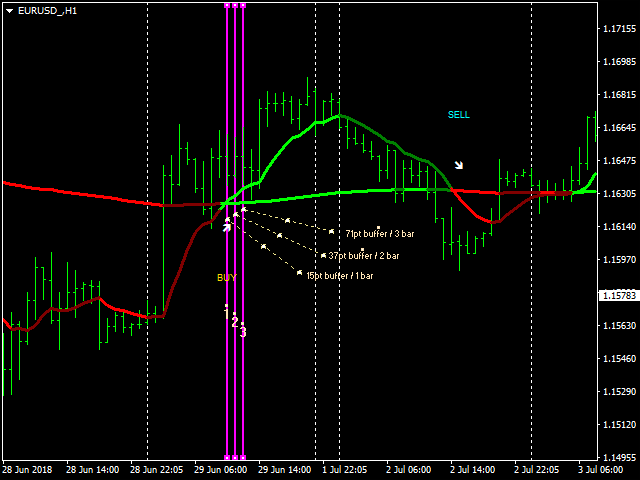 The signals appear in buffers 8 & 9 as either a value & 0 or otherwise an empty value(EMPTY_VALUE).